Welcome to my photoblog, where I would like to show you my very own vision of Dublin and maybe other, more or less known cities in the world. Few words about me (and probably the longest text entry in this blog ever): I have been living in Dublin since August 2007. During that time I have changed my address three times, being disappointed with this neighbourhood or another, but never grew tired of this amazing city. I tend to carry a camera with me wherever I go and take a quick snapshot of things, people or places that I find somehow unusual. Beware: some of those photos might be a bit lousy from technical point of view, since I hardly ever carry my DSLR camera while doing my usual day-to-day routine. Anyhow, I hope you enjoy them and fall in love with Dublin as I did. 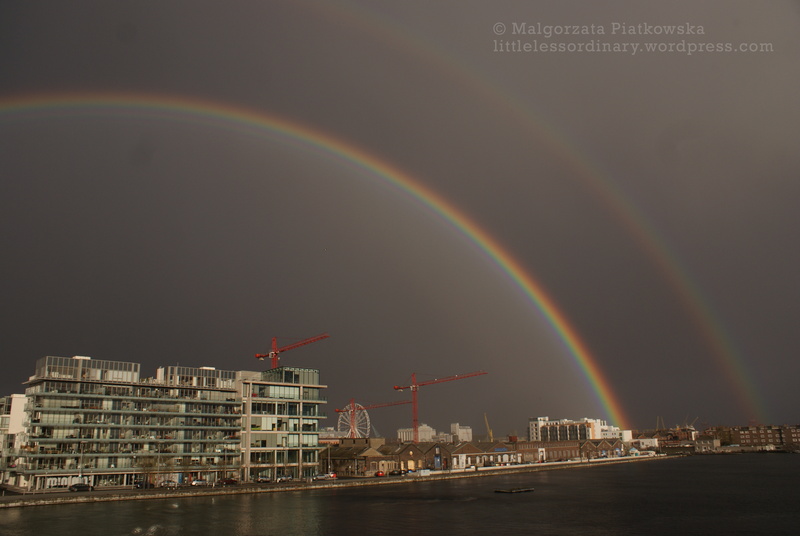 For a start – epic rainbow spot one gloomy November afternoon. Double Rainbow all the way! wooohooo!